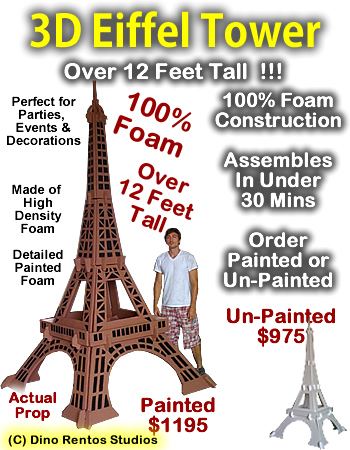 Big 3D Eiffel Tower Foam Display Prop - Dino Rentos Studios, INC. The perfect center piece for any Parisian party, event, display, play or trade show. Order unpainted or painted, ready to be assembled. Assembles in approximately 30 mins.